Easy Herb Roasted Chicken Recipe-Dinner for under $10! Chicken is one of my families favorite meals to eat. 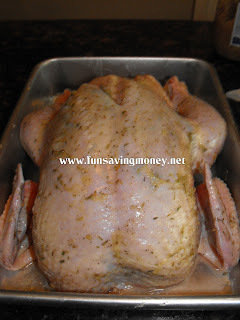 One meal that is super easy and inexpensive to make is Herb Roasted Chicken. I will normally buy a whole chicken because it’s cheaper but you can also make this recipe using cut up whole chicken if you prefer. Preheat oven to 450 degrees. In a small bowl add your 2-3 tablespoons of Canola Oil. 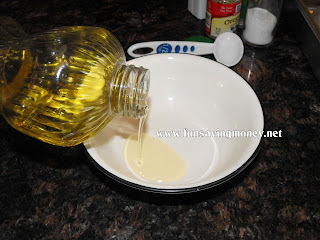 You can also use Olive Oil if you prefer, this is all I had on hand. 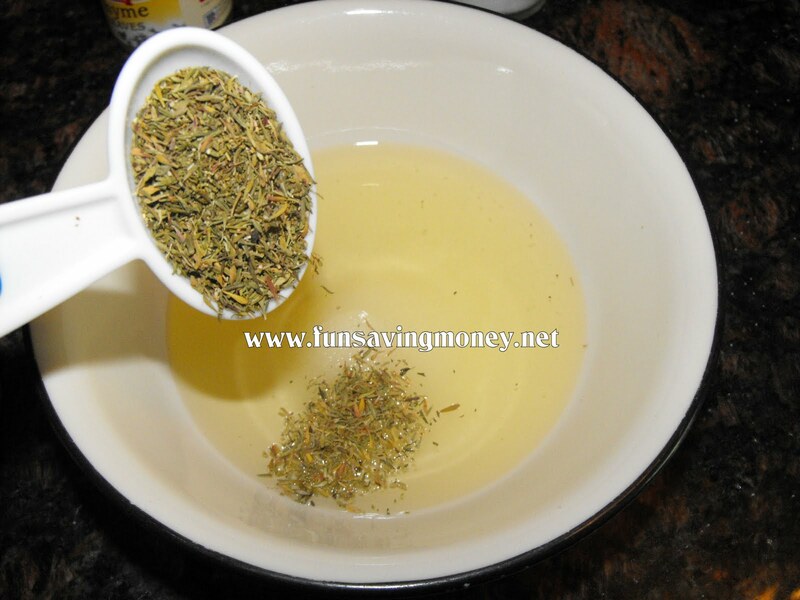 Add your seasonings to the oil. I used store bought herbs that included: Oregano, Sage, Thyme and Rosemary. 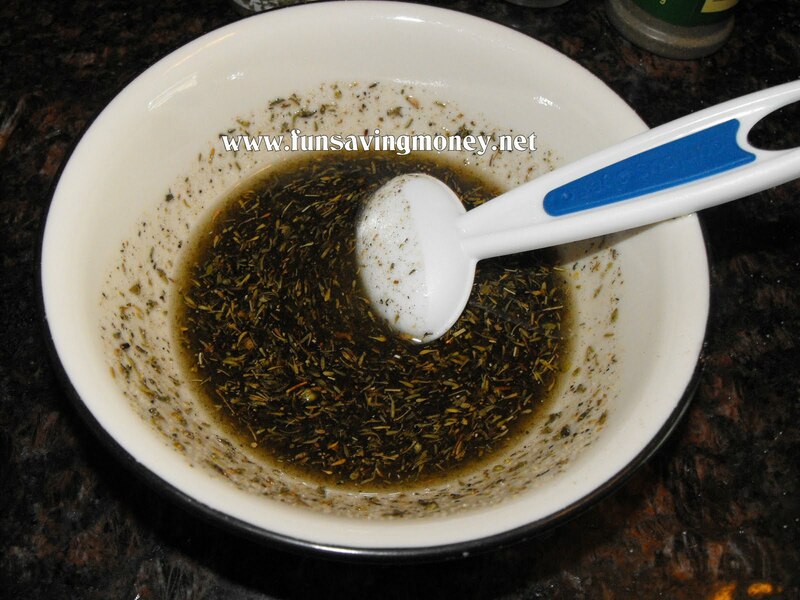 Plus add the Salt and Pepper to this mixture. Now mix together very well. It should be a very thick and greenish mixture. Set Aside. 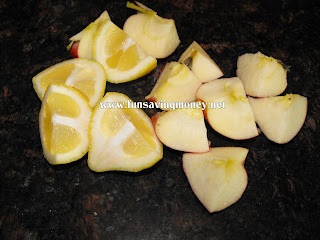 Now chop your Lemons and Apples into quarters. You can add pretty much anything you like inside of the chicken like Onions, etc. because all this stuffing is for is flavor. 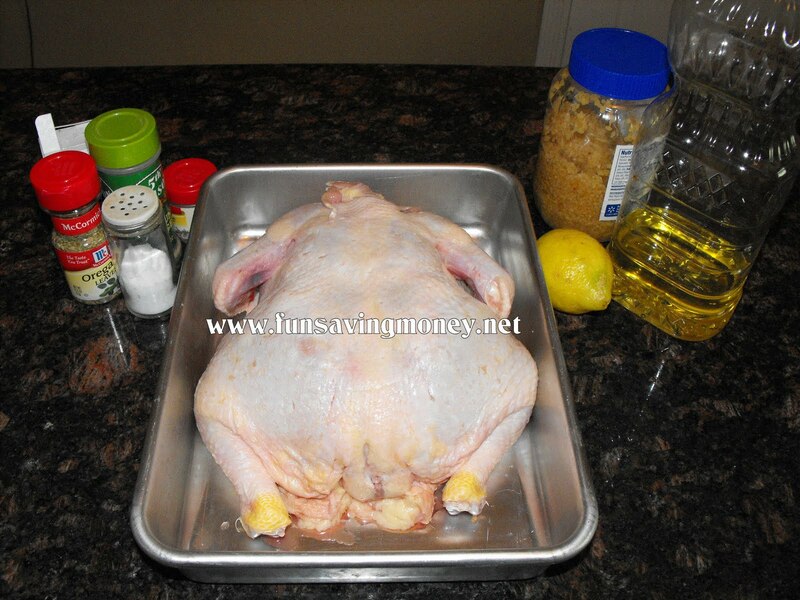 Next your going to stuff your clean and dry chicken with the apples and lemons. Now take your herb mixture and generously rub it all over the outside of the chicken. Make sure you get the crevices well too. 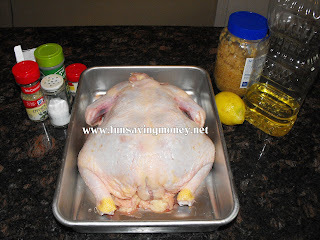 You can also pull up the skin on the breast and rub the mixture inside as well. 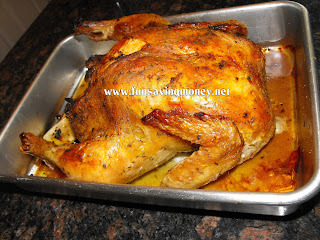 Now you just slide your chicken into your preheated 450 degree oven and bake for an hour to an hour and a half or until the juices in your chicken run clear. The crust on your chicken should be a nice golden brown. 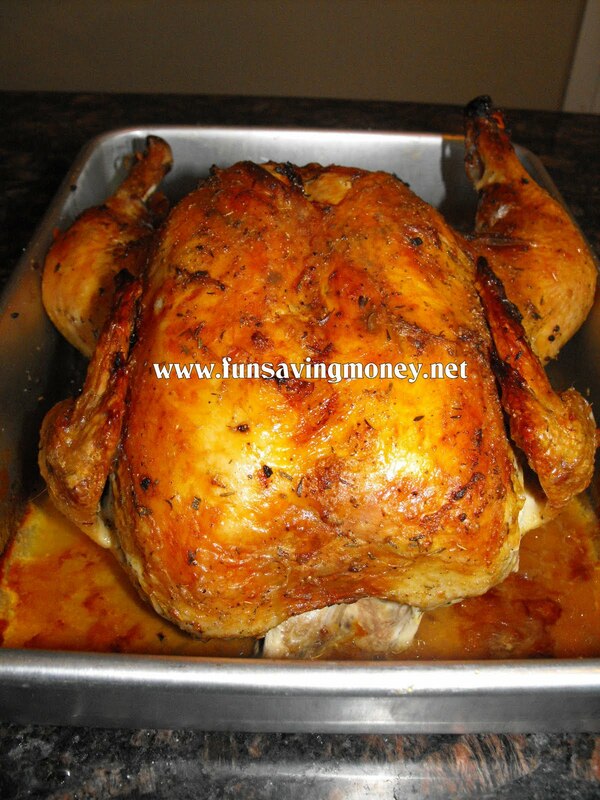 Now let your chicken rest for a good 10 minutes and your ready to dig in. I normally slice mine and serve with a side of rice and veggies and you have a delicious meal for under $10.